There's no doubt life for brewery owners is becoming increasingly competitive as more people with brewing companies of all shapes and sizes throw their hats into the ring. At the same time, as the industry matures, there are more routes opening up for owners to source the funds needed to realise their dreams. 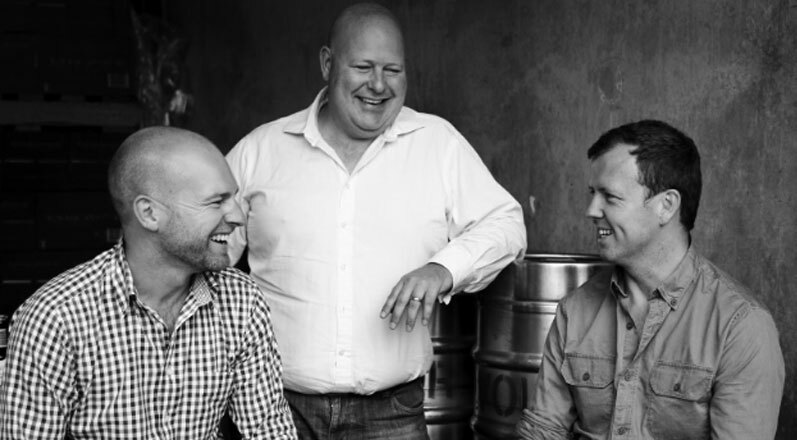 Today sees the founders of Endeavour Brewing Co offer members of the public the chance to buy shares in their business as the first Australian brewing company to launch an equity crowdfunding campaign via Equitise. Endeavour co-founder Ben Kooyman says they jumped at the opportunity once the latest legislation surrounding equity crowdfunding passed, which allowed proprietary companies to raise from "the crowd", figuring it was the best option for the next stage in their growth. "We were keeping a close eye on crowdfunding but the legislation was really restrictive," Ben says. "We looked at private equity and high net worth individuals but then the legislation evolved in the right direction." What it means in their case is that members of the public can now take a share in their business for as little as $100. He likens it to BrewDog's "Equity For Punks", a situation that allows them to offer shares in Endeavour without the requirement to become a publicly listed business. This form of crowdfunding is new to Australia, but has been used successfully elsewhere; in New Zealand, the likes of Yeastie Boys and ParrotDog followed this path to help propel their business growth. It differs from crowdfunding offered by the likes of Pozible, which has seen local operations including Your Mates Brewing and Black Hops achieve their financial targets by offering rewards rather than shares in the business to supporters. "We started with crowdfunding before it was a term," Ben says of Endeavour's earliest days. "We got 20 mates to a pub in North Sydney and told them about the business plan. We said we needed some capital to brew our first batches of beer." Since then, aided by a couple of fund raises from existing shareholders supplemented by debt financing, Endeavour has started distributing its beers – predominantly contract brewed – across Australia, and launched the Endeavour Tap Rooms in The Rocks (pictured at top) to great success in 2016. But, to realise the next stage in their plans, they knew they were lacking capital. Ben Kooyman (centre) and Endeavour co-founders Andy Stewart and Dan Hastings. "Over the journey, we've had a couple of other options for capital – private equity and high net worth individuals who want to come in and flex a lot of muscle and take a lot of control. But now there's lot of new options coming online. "In my role with the IBA [Independent Brewers Association] board, I was approached by quite a few providers wanting to get involved [in the craft beer sector]." While many small businesses in the beer world will continue to work with banks or in partnership with friends, family and other investors, be that private equity or individuals keen to become part of a growth industry – and some will find financial support through grants – other options are on the table. 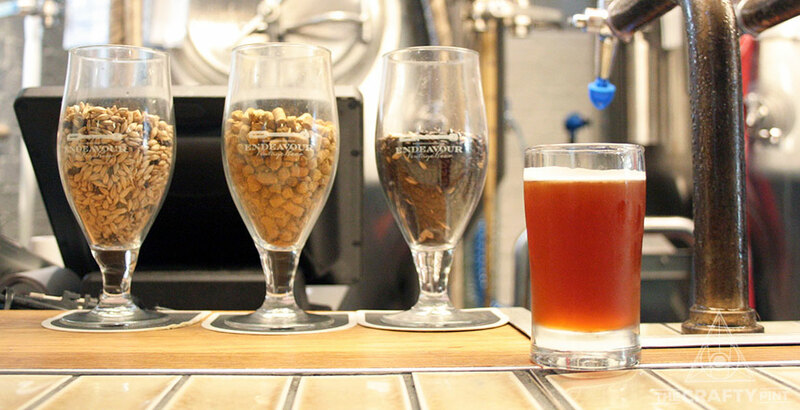 Read our recent interview with a specialist on the business of beer here. 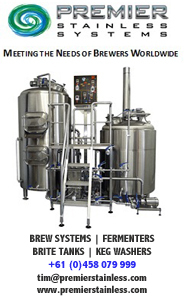 Among those looking to work with brewing companies is Bigstone Finance, which specialises in small business loans and financing of equipment. Head of sales Alec Brown says breweries are the exact kind of businesses they like to work due to the capital intensive nature of brewery expansion. To date, Bigstone has financed new canning lines, quality assurance equipment, cool rooms and even taproom fitouts, with Alec claiming a small lender can be better suited to providing the right sized loan – in an appropriately fast time frame – compared to traditional lenders. When it comes to financing brewery equipment, he says another benefit is that a stainless steel fermenter can easily be resold so, if a repayment can’t be met, the risk of lending to a brewery can be managed. He says borrowing money or leasing a new canning line offers a way to finance growth without the need to raise extra money from investors or giving up some control of a company. For breweries looking to expand, he says there’s plenty of options available. Jetty Road on the Mornington Peninsula is the first brewing company to work with "independent craft accelerator" Founders First. Another operation that's new on the scene and is promising to bring expertise as well as access to funds is Founders First. The business has been around for 12 months, working with Jetty Road on the Mornington Peninsula, but has remained in the background until recent weeks. Describing itself as an "independent craft accelerator", Founders First recently added Mark Haysman as chief executive and managing director. He previously spent 14 years at Lion and seven at CUB – spanning the time it was bought by SABMiller and then transitioned to AB InBev ownership – as well as almost three years as CEO at Port Adelaide in the AFL. 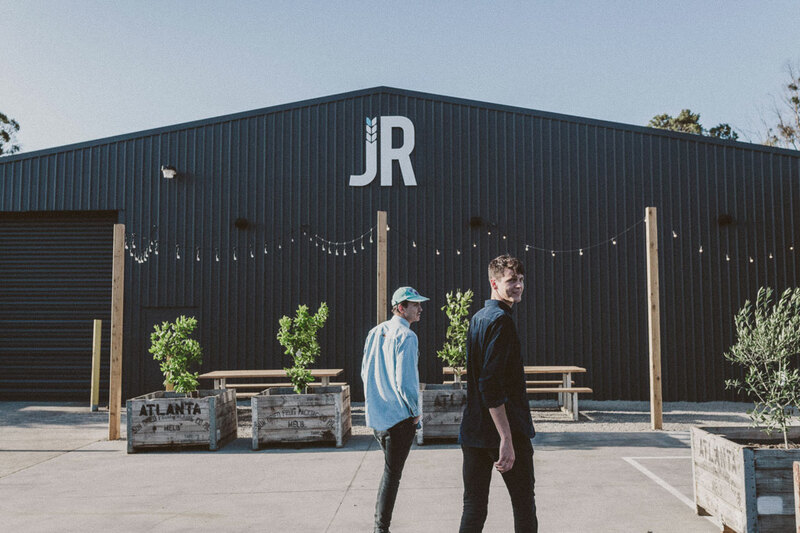 Founders First's aim, as with Jetty Road, is to offer support – in the form of funds and expertise – to help small brewing companies and craft distilleries grow. "There's lot of growth within the beer and spirits sector," Mark says. "We will see some really thrive and some fall by the wayside without the right level of support. "The idea is to become a bit of a collective – enable a bunch of businesses to come under the Founders First group to help them survive and thrive but keep their independence." As for the benefits for Mark and the team, he says: "We invest in them and will get a return on that investment. "These businesses have some common things that they need. Often it's access to capital and growth capital, needing sales or marketing capability, or support to build a venue." He says that, in Australia at least, where they're operating is "a new space", with investors to date typically "looking to buy [businesses] out rather than letting them retain their independence". "There's a lot of players," he says of the industry they're entering. "I guess that's possibly why no one else has done this to date. We are under no illusions that will be easy, but we're confident." Matt Vitale of Birchal presenting at the 2018 Perth Brewer's Conference. Back in the world of crowdfunding, Birchal – the equity crowdfunding sibling to Pozible – is also working closely with small Australian brewing companies. It offers discounts to members of the IBA and co-founder Matt Vitale has given presentations at brewing conferences in the past year. Birchal worked with Melbourne brewing company Sample on a campaign when equity crowdfunding was only open to public unlisted companies, although the Sample team decided not to go ahead after the expressions of interest stage. But, with legislation having changed in October to allow proprietary companies like Endeavour to take this route, Matt says they expect more beer businesses to get on board. 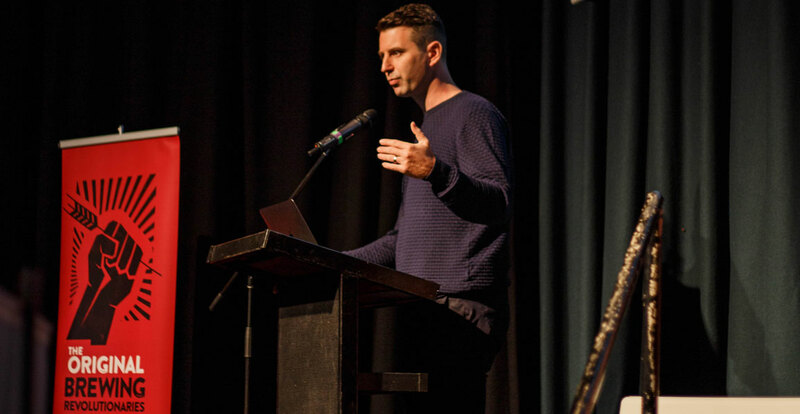 “We’ve had a great track record of helping craft brewers and distillers launch their brands through successful rewards crowdfunding campaigns [via Pozible]," Matt says. "Equity crowdfunding campaigns and equity crowdfunding is really the next step for businesses that have found success in crowdfunding. As for the sort of business best suited to equity crowdfunding, he says: “Breweries that already have a bit of an audience will often do well. Our only requirement really is that companies have a really strong consumer proposition, so we are stage agnostic; we work with some really early stage businesses and some later stage businesses but we are really looking at the ability to talk to an audience. But it needs to be a really good investment as well. That's certainly the case for Endeavour, whose aim is to raise enough funds to help them build a production brewery in Sydney's north and open more brewpub venues in parts of Sydney that are currently lacking a local option. "I think crowdfunding will become more widespread," Ben says. "It has been in New Zealand and Europe for a while. "There's a good opportunity to get people into the business who are passionate about the brand. They are helping you continue to grow and they get benefits. As James Watt [of BrewDog] has said, it's the democratisation of finance. "We are the crash test dummies in Australia but we've followed what other breweries and distilleries and even some winemakers have been doing elsewhere." You can check out Endeavour's crowdfunding drive at ownabrewery.com.au.